Home Hardware in Helensburgh contacted us after finding that their 51 panel solar PV system wasn’t producing the power that their now-defunct installer said it would. Ceiba agreed to carry out an assessment of their PV system in order to identify any issues that could be limiting the power produced. Ceiba proposed an action plan which involved fault finding to establish which panels were not functioning properly, tidying up of the DC cables and a re-design of the PV array layout in order to reposition the panels to minimise the shade. After reviewing the report that Ceiba produced, Home Hardware were keen to get the problems fixed. Ceiba’s PV install team began by removing panels and mapping the string layout. It was discovered that poor crimping was responsible for a number of loose connections and every string connection was re-done and crimped professionally. 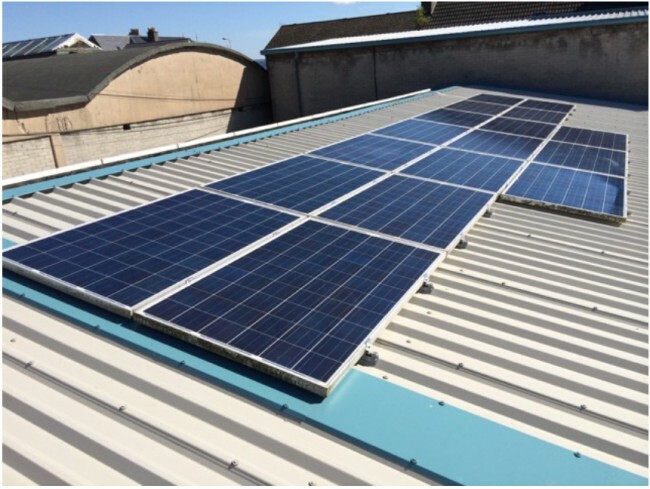 This fix ensured that all of the panels were now producing power to the solar inverter, later in the day when shading was less of an issue on the panels, the instantaneous power output of the PV array had increased by 36% by this measure alone. However, Home Hardware wanted the job done properly and requested for the solution to re-designing the PV array layout be actioned. 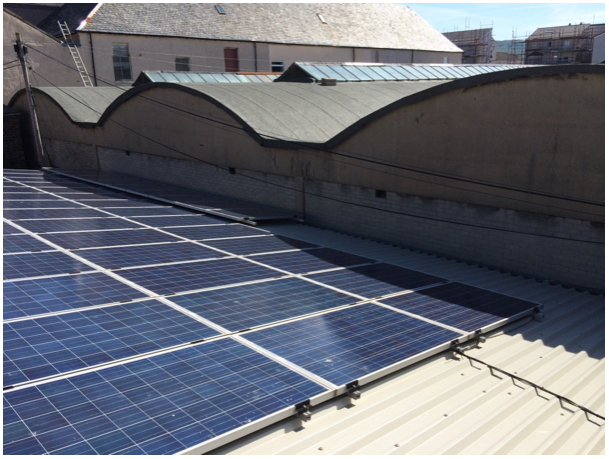 Ceiba went to work, moving 17 panels to the north-west side of the roof which has now minimised the impact of shade across the entire system and the solar PV system has been recommissioned. Duncan Crosthwaite, Director of Ceiba Renewables said, “With the original design shading occurred across 2 strings for more than 50% of the day. With our redesign we are confident that solar power generation at Home Hardware will be substantially improved. Since undertaking the works Home Hardware have reported a major improvement in their PV system’s performance. Having issues with your solar PV system? Contact us today and we’ll be happy to help.